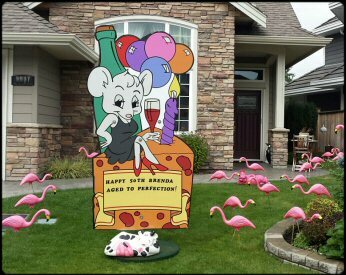 Providing Flamingos, Buzzards and other Fun Yard Greetings to the Following Municipalities since 1993! The first pink flamingos, manufactured in 1952, were flat and made of plywood. They were made of foam a few years later, but dogs tended to eat them. They've been made of plastic since 1957.